Our professional staff is committed to making every gathering a success. 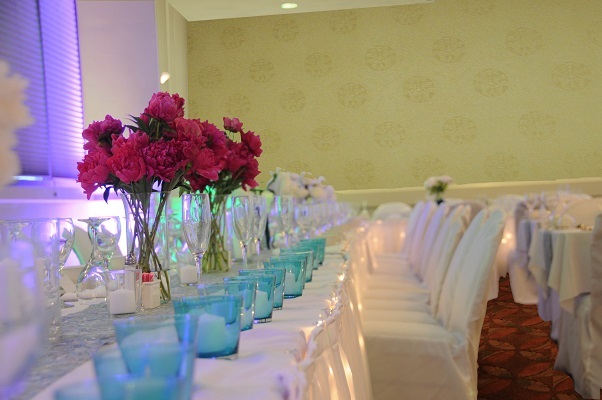 The Ameche Ballroom can be divided into two spacious rooms for many different uses and seating layouts. Twelve large windows on the south wall provide natural lighting and create a comfortable meeting/event atmosphere. A 20-foot screen serves the presentation needs of our clients. The 1,300 square feet of the Bascom Room accommodate a variety of seating configurations. The liberal, unobstructed space of this room has made it a favorite of educators and meeting planners alike. The Van Hise room is tastefully appointed for an intimate function. The room can accommodate meetings for up to 25 or meals for up to 50 guests. Our Executive Board Room is designed to encourage discussion and work in a private, comfortable setting. The room features executive seating, glass block windows, a Mondo Board, individual climate control and an adjustable ceiling fan. This is a professional classroom with wireless connectivity and hard-wired workstations for network and video conferencing capabilities. The tiered seating allows for optimal acoustics and visibility. The first two rows are mobile, allowing for seating flexibility for meetings of up to 40 people. 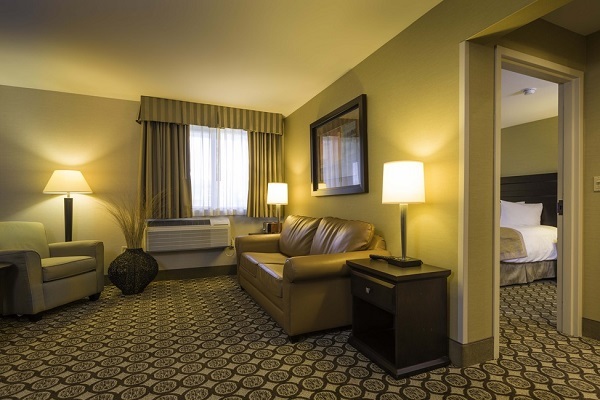 The Best Western Plus InnTowner Madison specializes in providing a superior meeting experience. 24/7 Grab n Go Market-Bottled Water, Snacks, Sandwiches, and more! Click HERE to view the Best Western Plus InnTowner Madison's Banquet Policies.